For a pheasant hunter, or any upland hunter for that matter, areas of marginal land are spaces that must be explored. Small pocket sloughs in the middle of a cut field, grassy ridges that rise out of row crops, or brushy draws and hollows that are tough to access all hold birds. Even extra-wide fencelines and shelterbelts with grass growing around them can provide enough of a running area for pheasants on the move in front of a dog. Targeting these small spaces can produce exciting flushes and fast action, and what follows are tips for finding birds within the margins. The shape of a small piece of marginal habitat like a pocket slough will help determine how to walk it. A hunting party should start at the wider end and push it toward the narrowest point. Ideally this will be into the wind, but if not, consider the shape of the cover just slightly more important than the wind direction. Work the small space slowly and methodically, letting a dog take its time to cover the wider end and pausing the hunting party in the last 20 yards or so to set up a flush at the narrow finish. 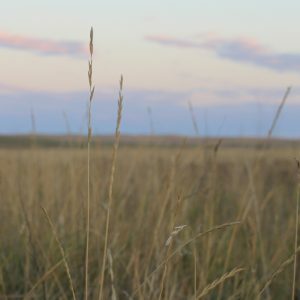 Hills that rise out of a field can also produce good hunting for species like pheasants and sharptailed grouse, especially those that are covered in grass plantings, or even just brome. These rises provide good midday haunts for upland birds, as the warm sun heats the airy environs. Look for birds to utilize these spaces on nice days and start on the east side in the morning and south side after midday, as birds will locate there to stay comfortable as things cool off in the season. Be ready for covey flushes of birds like grouse and partridge to come quickly upon starting into the habitat or even when approaching such stretches. In the last month, on two walks over the same small parcel, I’ve gone up the tiniest draw to find a bevvy of birds waiting for my party. On opener, a set of five hens escaped at the last moment as I ran my lab up the middle of a small drain so tight I could touch the brambles growing on either side, simply by raising my arms in the narrow cattail corridor. Two weeks later, my dog sent 13 sharptailed grouse and a rooster skyward at the end of the same small stretch. While the field had been used as pasture early in the season, it was free from cattle in the back half of summer. The one place they could not reach was the steep, tangled draw and the grass and reeds that grew within the friendly confines were an ideal hiding space protected by thick buckbrush. It was easy to identify the small stretch of marginal land, and only slightly less difficult to walk up the narrow middle with my pup. In areas with pivot-head irrigation, which are easily identified on an aerial map as large circles with small diamond-shaped corners between each field, those four-pointed spaces between each stretch of corn provide 5 to 25 acres of marginal habitat. In some states, there are even conservation programs devoted to enrolling those areas in various set-aside programs for wildlife. Akin to any small area of marginal land which may hold pheasants, work pivot-head field corners to one of the points. Since there are often four of them, each one can be explored into a favorable wind, setting up a good chance for a fast finish. In the end, habitat is key. These small spaces near or adjacent to larger stretches of cover like sloughs, brushland, draws or creek bottoms will be even more productive and provide a quick escape route for birds pursued from the thick stuff. Make it a point to finish up a bigger walk by visiting these marginal lands. As precision agriculture programs and expanding small-acre set-aside options take hold in the upper Midwest and these areas become more profitable by going unplanted, expect the opportunities to explore great marginal land to increase in the coming years and these small spaces to become a big focus of hunters…in our outdoors.